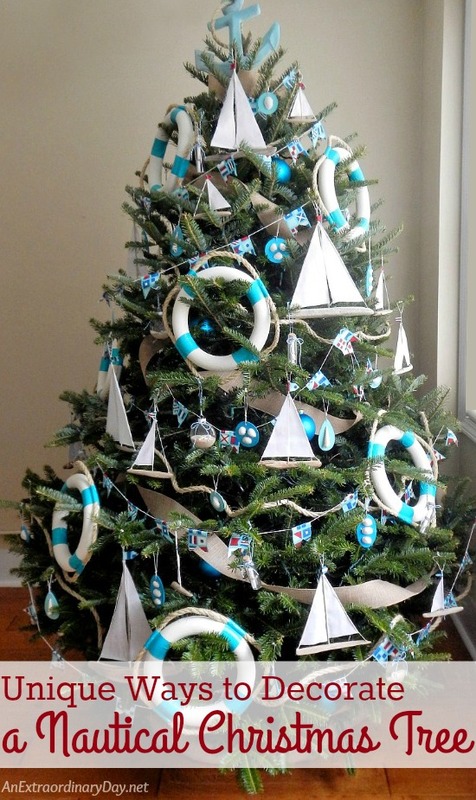 This beachy blue nautical Christmas tree is decked out with driftwood sailboat & lifering ornaments, and a variety of other nautical ornaments and decorations. This is a truly nautical theme Christmas tree, featuring all the motifs associated with nautical decor. 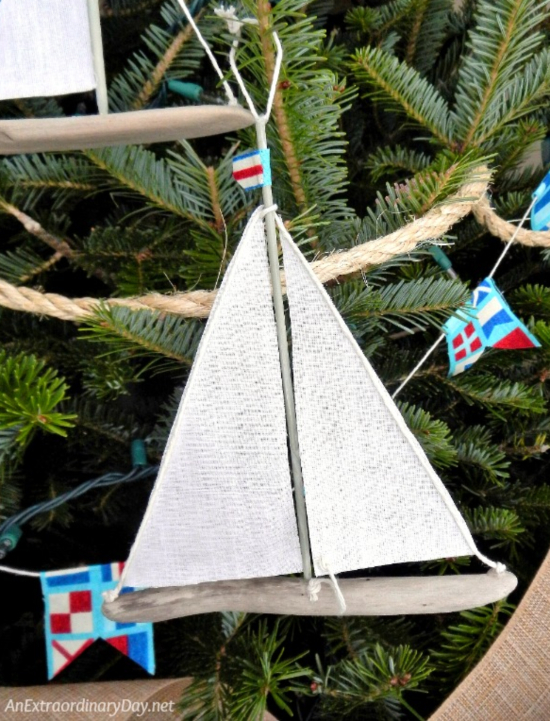 There is a rope garland, signal flags and lots of DIY driftwood sailboat ornaments. 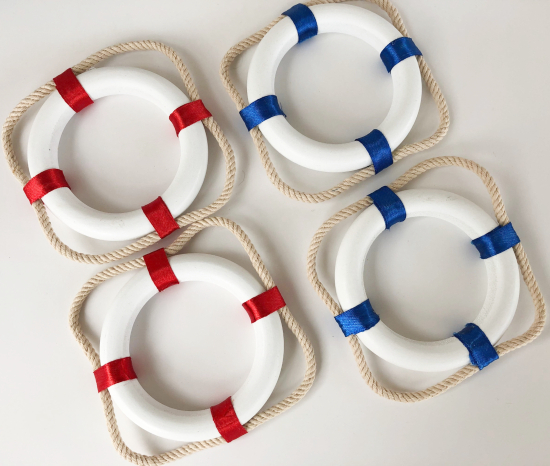 A large blue anchor make for a striking tree topper and the oversized DIY life ring wreaths are bold and fun. You can also spot some cute little shell ornaments and some Beachy Filled Ornaments. Learn more about each decor idea and DIY ornament and See this Nautical Christmas Tree come together in stages at An Extraordinary Day.